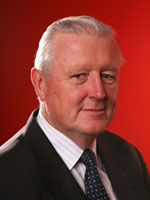 Professor Sheehan has made a substantial contribution since 1994 to studies of the global knowledge economy, and of its Australian and international ramifications. For over two decades he has contributed to the analysis of new technologies and their application in Australia, and to policy and commercial developments, related to the commercialisation of such technologies in Australia. In August 2003 he was elected to the position of Academic Co-Chair, APEC Life Sciences Innovation Forum (LSIF) which is chaired by the Deputy Prime Minister of Thailand. The Industry Co-Chair is Dr Fikry Isaac, CMO of Wellness and Prevention at Johnson & Johnson. The establishment of the group is an initiative of President Fox of Mexico and is strongly supported by health, economic and research agencies of the 21 APEC economies and industry. Stenberg, K., Axelson, H., Sheehan, P., Anderson, I., Gülmezoglu, A.M., Temmerman, M., Mason, E., Friedman, H.S., Bhutta, Z.A., Lawn, J.E., Sweeny, K., Tulloch, J., Hansen, P., Chopra, M., Gupta, A., Vogel, J.P., Ostergren, M., Rasmussen, B., Levin, C., Boyle, C., Kuruvilla, S., Koblinsky, M., Walker, N., de Francisco, A., Novcic, N., Presern, C., Jamison, D. and Bustreo, F. on behalf of the Study Group for the Global Investment Framework for Women’s Children’s Health (2014), ‘Advancing social and economic development by investing in women's and children's health: A new global investment framework’, The Lancet, 19 November, doi:10.1016/S0140-6736(13)62231-X. Stenberg, K., Sheehan, P., Axelson, H. and Sweeny, K. (2016) ‘Investing in the continuum of care for RMNCH’, Chapter 15, Volume 2, , in D. Jamison, S. Horton, H. Gelband, P. Jha, R. Laxminarayan, R. Nugent (eds),Disease Control Priorities in Developing Countries (DCP3), 3rd edn, Volume 2, The Continuum of Reproductive, Maternal, Newborn and Child Health, chap. 15. Sheehan, P. (2010) 'Beyond Industrialization: New Approaches to Development Strategy Based on the Service Sector', in A.U. Santos-Paulino and Guanghua Wan (eds), The Rise of China and India: Impacts, Prospects and Implications, UNU-WIDER Studies in Development Economics and Politics, World Institute for Development Economics Research of the United Nations University, Palgrave Macmillan. View more of Professor Sheehan's publications in VU's Research Repository.